Damian Dinning, Nokia's head of imaging, has decided to leave the struggling mobile company. 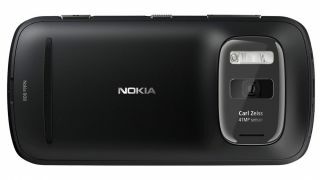 The man behind the camera technology on handsets like the headline-making, 41-megapixel Nokia 808 Pureview and the new Nokia Lumia 920 device will leave at the end of this month. A statement from Nokia UK hinted that Dinning, who held the position of lead programme manager for Imaging Experience, had decided to quit the company rather than move to Finland. The company said: "Following the relocation of key strategic roles to Finland, and with great reluctance, Damian Dinning has made a personal decision to leave the company effective 30 November 2012. "We thank him for his service to the company and certainly wish him the best." Dinning's decision to leave Nokia will be a blow for a company that, over the years, has built a reputation for its high quality camera technology. He had been at Nokia since 2004.